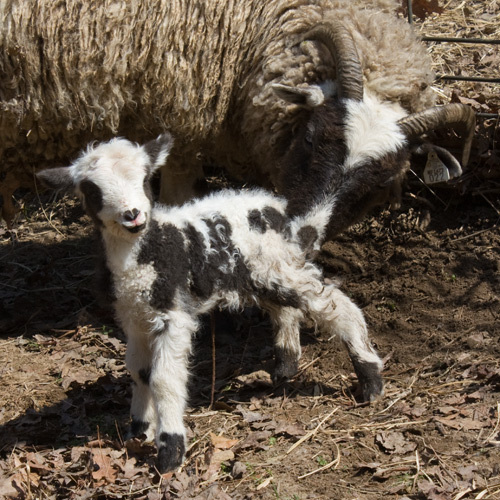 ← Babies, babies, more babies..
My friend, Brenda, shared this term with me and it suits my attitude towards lambing..
Be watchful, be prepared to help, but most importantly…wait.. Besides my bottle of iodine, my most important lambing tool is the clock in the barn. Watching a ewe strain in hard labor seems like hours when it’s only been five minutes. Wait. She doesn’t need me. I’m going to keep you!! All is well. No one needed me. Patchwork Brick is happily tucked into a lambing jug for the evening with his doting mother, Holly. 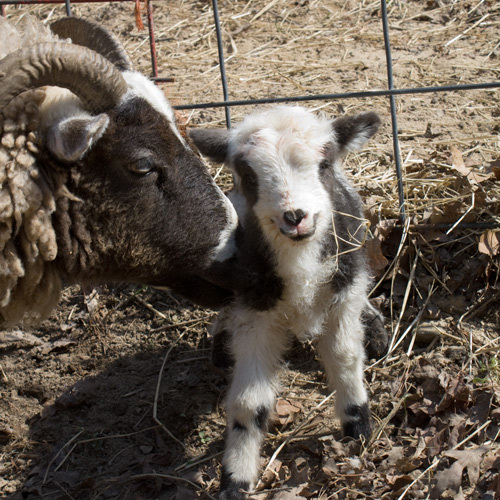 Martha had a nice ewe lamb yesterday, sired by Unzicker Jedd…She doesn’t have a name yet, but she has presence!! Those Jacobs are just adorable, with their spots. 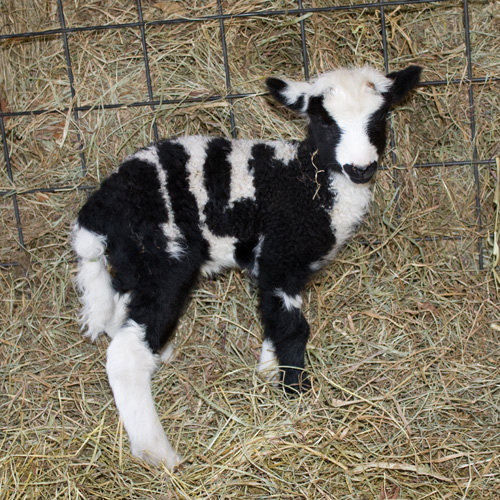 I so enjoy all of the new lamb pics, as I impatiently wait for mine to arrive! I could not help but laugh!!! Pancake! I think that’s one of the best sheep names I’ve ever heard. And it’s appropriate for a ram cause you never know; he might be a flattener as well. Panini and Brick are funny names, but where did Pancake come from 😉 Very fun names! Glad Holly decided to be a mom. 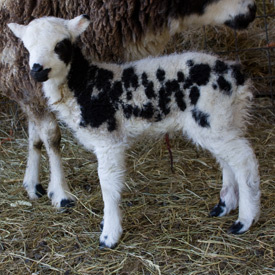 Her lamb is very cute and look another smiley face. 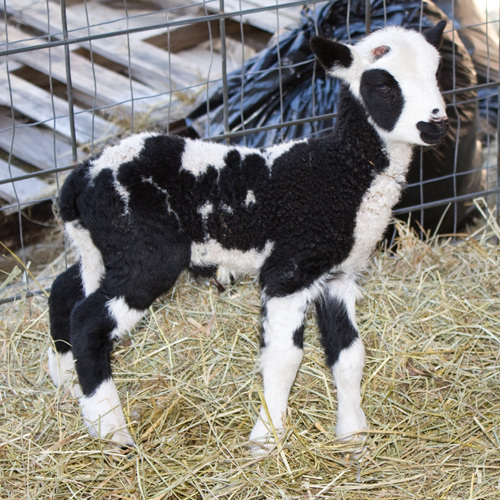 Your lambs are all just CUTE, CUTE, CUTE!! !